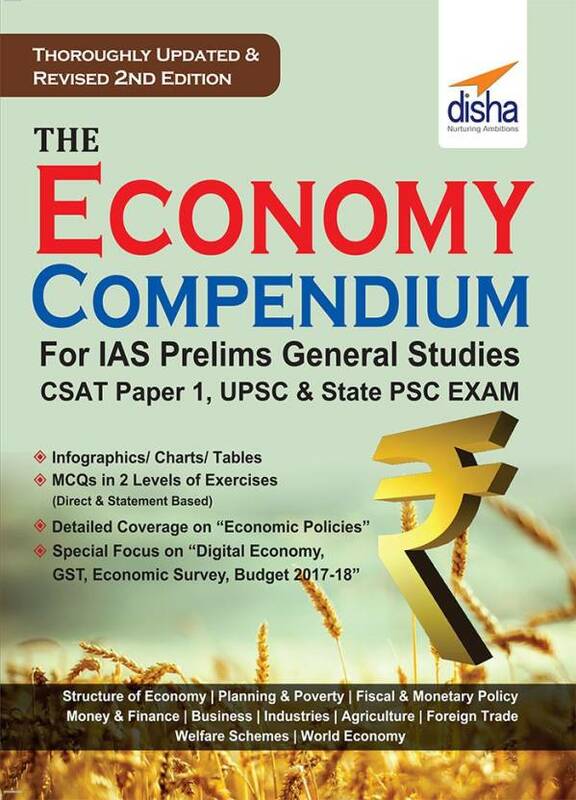 Free Download Economics Compendium by Disha Publication PDF. Here we are Sharing Disha Economics Compendium pdf Free Download for IAS Prelims General Studies CSAT Paper 1, RBI Grade B, SEBI Grade A Exam.The thoroughly revised & updated 2nd edition of the book “The Economy Compendium” has been updated with all the recent developments happened in the economic sphere. Special emphasis has been given to Demonetization, GST, Budget 2017-18, National Economic Survey and Digital Economy. New chapters on Digital Economy and GST, Welfare Schemes / Program, World Economy have been added. The book is empowered with Mind Maps, Info graphics, Charts, Tables and latest exam pattern MCQs. The book captures most of the important questions with explanations of the past years of the IAS Prelim exam, State PSC, NDA and other competitive exams distributed in the various chapters. The book is divided into 11 chapters followed by 2 levels of exercises with 1000+ Simple MCQs & statement based MCQs.